Robert “Doc” Gowdy is a graduate of the University of North Texas with a Ph.D. in Literary Criticism and Theory and an emphasis on Nineteenth-Century British literature. His specialization in literary theory is psychoanalytic criticism and theory, particularly Lacanian psychoanalysis, with further emphases on Milton and Eighteenth-Century British literature. Doc Gowdy is currently an adjunct assistant professor at Texas Woman’s University where he teaches various literature classes. 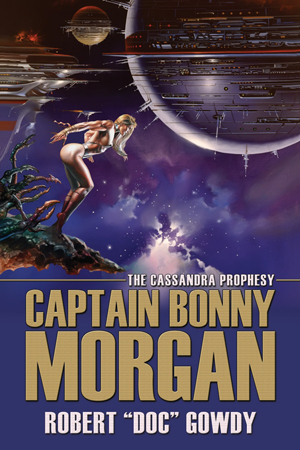 His interest in writing is long standing, but aside from academic writing, his first novel, Captain Bonny Morgan: The Cassandra Prophesy is his first foray into fiction. Captain Bonny Morgan is based on archetypal themes and patterns from mythology, such as fairies, goddesses, and the Hero’s Journey, and based loosely on Doc Gowdy’s active duty service in the United States Marine Corps with special emphasis on the Golden Age of Piracy in the Caribbean at the turn of the Eighteenth-Century. I am originally from Wichita Falls, Texas. Aside from a stint in the United States Marine Corps, I’ve spent most of my life in Texas. After a time in a rock band after the Marine Corps, I decided to go back to school. I then got my B.A. from SMU, then went to the University of North Texas in Denton to get my M.A. and Ph.D. in literature. 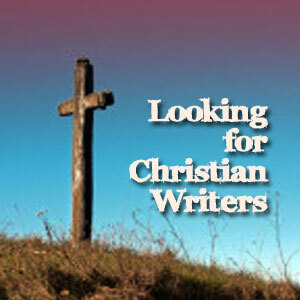 So, I’ve been writing seriously, albeit academically, for a little over fifteen years. Captain Bonny Morgan: The Cassandra Prophesy is about the first steps in bringing down an evil galactic empire, the empire of Emperor Tulla the First. Captain Bonny Morgan, a beautiful galactic pirate, is contracted by an unknown “entity” to kidnap Princess Cosette, the Emperor’s step-daughter, in an effort to set events into motion. After Captain Morgan kidnaps Princess Cosette, her sister, Princess Lysette, sets out to find her kidnapped sister with the help of her beautiful but extremely mischievous slavegirl, Tink. The story is all about Tink and Princess Lysette’s adventure, and all the political intrigues, hidden agendas, unexpected revelations, and bold, daring gambits by everyone involved at every level of the conspiracy to overthrow the Emperor Tulla. The novel contains a whole host of wonderful characters that I’ve become quite fond of. There is, of course, Captain Bonny Morgan herself, a beautiful, but mysterious, galactic pirate of an unknown species. Princess Lysette, the beautiful biological daughter of the Empress Flaccilla, and step-daughter to the Empress’s husband, the Emperor Tulla. Princess Lysette is the sister of the kidnapped Princess Cosette. Tink—perhaps my all time favorite character of the novel—is Princess Lysette’s slavegirl. Tink assists Princess Lysette on her journey to find her kidnapped sister. Tink is very beautiful, extremely mischievous, quite funny, and has a secret, well hidden, past. Along the way, Tink and Lysette meet the former pirate, Jon Black, a burly, jovial man who owns a café on the slave planet, Miin. Jon Black is also of the same species as Captain Morgan. While on Miin, Tink and Lysette also meet the beautiful young noble, Lady Brit, who they enlist as another ally in their adventure. When Lysette, Tink, Lady Brit, and Jon arrive on the pirate planet, Spiller’s Point, they meet Bully, the colorful owner of the Pretty Red, a seedy pirate tavern. Next they meet Colleen O’Malley, the fierce, but beautiful, leader of the pirate faction known as the O’Malley Brethren. Colleen O’Malley has a sophisticated, technologically advanced hideout facility on the snow planet, Prilla. It is on Prilla that Captain Morgan, along with the others, meets John Francis Padrick “Gunns” Mannigan, a former Shield Marine General that Captain Morgan has also been contracted to find. Gunns Mannigan has a loyal and trusted friend with him on Prilla, the burly Sergeant Major Sean “Buster” O’Malley, another former Shield Marine and Colleen O’Malley’s brother. While on Prilla they also meet Kana O’Shay, a former slavegirl turned pirate. Kana is a very resourceful pirate in that she is known as Colleen O’Malley’s “cleaner” because she can “clean” the identity from anyone or anything. Eventually, when everyone arrives back on Spiller’s Point, they meet (and Kana enlists as her partner) Blaze, a beautiful, redheaded Fenian pirate who becomes very helpful along the way. And among Captain Morgan’s pirate crew aboard her ship, the Fancy, there is Miss Bernadette Tell, Morgan’s first mate, and Mr. Quist, the Fancy’s Bosun. On the evil side of the ledger, there is, of course, Emperor Tulla. But perhaps the most central Imperial character is Admiral Kul, the head of the Imperial Night Watch, an organization similar to the Nazi SS. Admiral Kul’s aide is Commander Pangko, the Admiral’s “go to” man. Captain Be’elle is the Captain of Admiral Kul’s personal Imperial Super Carrier, Death’s Talon. And the Talon’s executive officer is the rather unsavory Commander Pellon. There are, of course, other characters, but the ones I’ve mentioned are pretty much the central characters of the novel. And what I’d like readers to take away from the novel is simply a really fun read. Right now, I’m writing a sequel to Captain Bonny Morgan: The Cassandra Prophesy. The sequel will be titled, Captain Bonny Morgan: Fenians Wake. Fenians Wake alludes to the Fenians of Irish legend. Fenians can be heard referenced in the Irish ballad, “The Foggy Dew” by the Dubliners, especially the version sung by Paddy O’Reilly on YouTube. Fenians Wake is currently a third of the way complete. In the new novel, Tink, by sheer force of her impressive will, sort of takes over command (more spiritually than operationally) of the Princess Guard, Princess Lysette’s elite bodyguard unit and personal assault force commanded by Gunns Mannigan. Currently the Princess Guard is made up of a single company of Guardsmen, but Tink wants to expand the Princess Guard to battalion strength, adding an additional 500 Guardsmen to the elite unit. She and Sergeant Major Buster O’Malley will go to the snow planet of Prilla (Colleen O’Malley’s pirate hidey-hole) to recruit the new Guardsmen from among the ancient Fenians residing high in the mountains on Prilla. I will be introducing some new characters in Fenians Wake, such as Molly Malone (the owner of the Fenian tavern, O’Herlihy’s), Miss Flanagan (the rogue Lynch Brethren’s “enforcer”), and Sergeant Kelly and Corporal Flynn, both of whom are special favorites of Tink’s among the Princess Guard. Tink has a rather deep, abiding sisterly love for Kelly and Flynn. Wilkie Collins, Daniel Defoe, George Eliot, Edith Wharton, Eudora Welty, Fanny Burney, Lewis Carroll, J.M. Barrie, and Bram Stoker. I’m currently reading two books, both Star Wars novels in an effort to research the underlying psychology behind the Sith. The novels are: Darth Bane: Path of Destruction and Darth Bane: Rule of Two. Both authored by Drew Karpyshyn. Oh, yes! I have to begin my writing around 2 a.m. in the morning and continue until about sun up. I don’t seem to be able to be creatively productive during daylight hours. Go figure! I don’t believe in “writer’s block.” In the fifteen years that I’ve been seriously writing, I’ve never encountered a period in which I felt I was “blocked” from writing. I do believe in a writer experiencing a slump, slumps of which I have encountered many, but they pass relatively quickly—at least in my case. 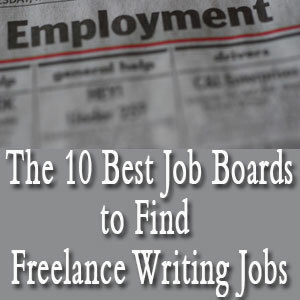 A writer who feels, once they’ve finished writing whatever it is they’re writing, that he or she has produced something worthwhile and well worth reading. Keep writing. Write every day (at least every day that is possible). The more you write, the better you’ll become. Oh, and read widely, as well. I have a Facebook page listed as Robert Gowdy. And I’m listed on the ESFL (English, Speech, and Foreign Language) page at Texas Woman’s University—in both the current news pages, and the faculty page. Yes, keep reading and writing. 1 Comment on "Interview: Robert “Doc” Gowdy"
Thank you so much for this terrific interview!